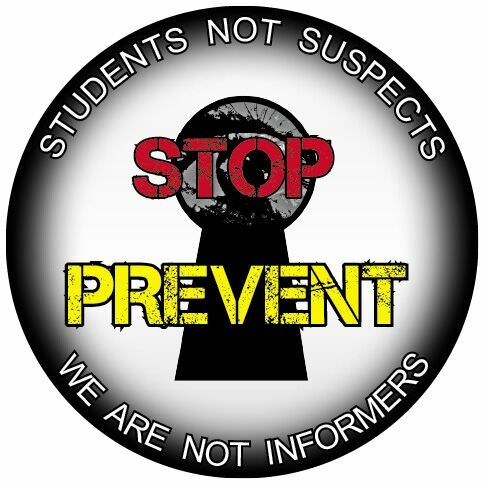 PREVENT: Tackling Extremism or Criminalising Dissent? Counter Terrorism legislation introduced earlier this year includes a new “prevent duty” which requires Higher Education staff (and other public sector workers) to monitor students who are suspected of engaging in ‘active opposition to fundamental British values’ and to police ‘extremist’ speakers and students on campus. The duty has been widely condemned by education unions and academics for its “chilling effect on open debate, free speech and political dissent” and the human rights group Liberty for turning “teachers and doctors into spies” and “blurring the line between dissent and criminality”. Examples of students reported under the programme include a school student who had questioned the government’s negative attitudes towards muslims in class and another who was told by police his “free Palestine” badge was extremist. Goldsmiths UCU and SU believe that Prevent, and the monitoring of students, will destroy the trust needed for a safe and supportive learning environment, encouraging discrimination against BME and Muslim staff and students. This briefing we will discuss the implications of the new Prevent duty at Goldsmiths; how we can work together to oppose the duty and campaign for the repeal of the legislation. This entry was posted in Uncategorized on September 21, 2015 by g0ldsmithsucu.